These homemade No Bake Oatmeal Cookies are delicious sweet treats that are super easy to make! Is it any wonder that Oatmeal Cookies have enjoyed popularity for generations? And what could be better than Oatmeal No Bake Cookies? They are quick, easy, wholesome and delicious. Perfect when there's just no time to bake! Oats are an excellent source of thiamine, iron, fiber, and antioxidants so these No Bake Oatmeal Cookies are snacks you can feel good about serving. No bake cookies are a great altnerative to more traditional baked cookies when it's too hot to turn on the oven, when you are short on time and want a quick and easy sweet homemade treat, or as a fun, kid-friendly cooking project. 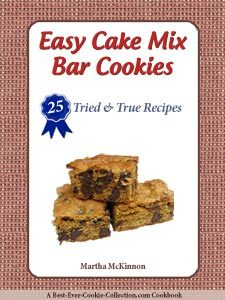 Many great no bake cookie recipes, like these for oatmeal cookies, often date back to The Great Depression. You may remember your grandmother stirring together the ingredients for no bake oatmeal cookies and she probably didn't even need a recipe! 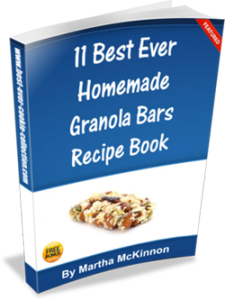 There are lots and lots of great recipes for no bake cookies containing oats. Many include chocolate and/or peanutbutter and are absolutely delicious and simple to make. But here we have some of our favorite no bake recipes for oatmeal cookies that use minimal amounts of chocolate and/or peanut butter, for a change of pace. 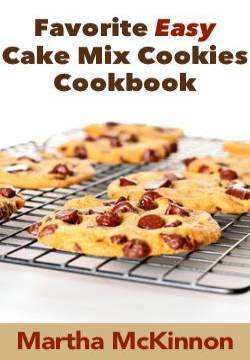 Among the yummy ingredients you'll find in the recipes below, we like to make cookies with cranberries and other dried fruits, nuts and butterscotch flavors. In a bowl, combine the almond butter, sugar, juice, and vanilla and mix well. Stir in the rolled oats, cranberries, and almonds. Drop by rounded teaspoonfuls onto cookie sheets lines with wax paper or a silicone baking sheet. Use your hand or a fork to flatten. Set aside or refirgerate for an hour to allow the cookies to firm up a bit. Makes about 2 dozen Oatmeal No Bake Cookies. Replace almond butter with peanut butter or another nut butter of your choice. Instead of dried cranberries, try dried cherries or golden raisins. Recipe source: This great recipe for oatmeal no bake cookies comes from Quick Fix Vegetarian: Healthy Home-Cooked Meals in 30 Minutes or Less by Robin Robertson. These oatmeal no bake cookies are sweet like yummy oatmeal candy. With only five ingredients, they stir together in minutes. In a heavy medium-size saucepan, combine the sugar, milk, and butter. Bring the mixture to a boil and then stir and boil for two minutes. Stir in the peanut butter and oats, mixing well. Drop by teaspoonfuls onto wax paper or a silicone mat. We like to use a small ice cream or cookie scoop to speed up the process and create more uniform cookies. Makes about 3 dozen No Bake Oatmeal Cookies. In a large bowl place the oats and set aside. In a medium-sized saucepan over low heat, combine the brown sugar, evaporated milk, and salt. Bring the mixture to a rolling boil (with bubbles all over the surface) and then remove pan from the heat. Stir in the vanilla and then pour the mixture over the oats and stir well to combine everything. Add the crisp cereal, butterscotch chips, and nuts (if using). Stir well to combine. Drop by tablespoonfuls onto wax paper or silicone mats. With wet fingers, press to flatten slightly. Makes about 2 dozen No Bake Butterscotch Oatmeal Cookies. In a large mixing bowl place the oats and set aside. In a medium-sized saucepan combine butter, brown sugar, apple juice concentrate, spices, and salt over low heat. Bring the mixture to a boil and stir until the sugar dissolves. Pour the mixture over the oats and stir to combine everything. Add the dry milk, fruit, and nuts (if using) and stir well to combine. Drop by tablespoons onto waxed paper or silicone mats. With damp fingers, press gently to flatten slightly. Makes about 2 dozen No Bake Oatmeal Cookies with Dried Fruit.